Ban bags or get better at garbage? They blow around on sidewalks and streets, get caught in tree branches and wash up in the river. Discarded plastic bags aren’t the biggest source of litter in Edmonton’s urban landscape, but they might be the most noticeable. This problem prompted Coun. Ben Henderson in 2008 to ask the city to investigate a potential ban on plastic shopping bags. At the time, it was determined that a bag ban would be too onerous for consumers and merchants and too difficult to regulate. He’s also noticed a decrease in the use of plastic bags since he raised the issue, though certainly the problem is far from being solved. Plastic bags are problematic as a source of litter on the streets, but also because they are made of non-renewable and non-biodegradable petrochemicals. Henderson points out the “embodied energy” they represent – the fossil fuel energy used not only to make them, but also to transport them and dispose of them. Those discarded in blue bags are sorted at the Materials Recovery Facility. Film plastic is sold to buyers who recycle it into various products. 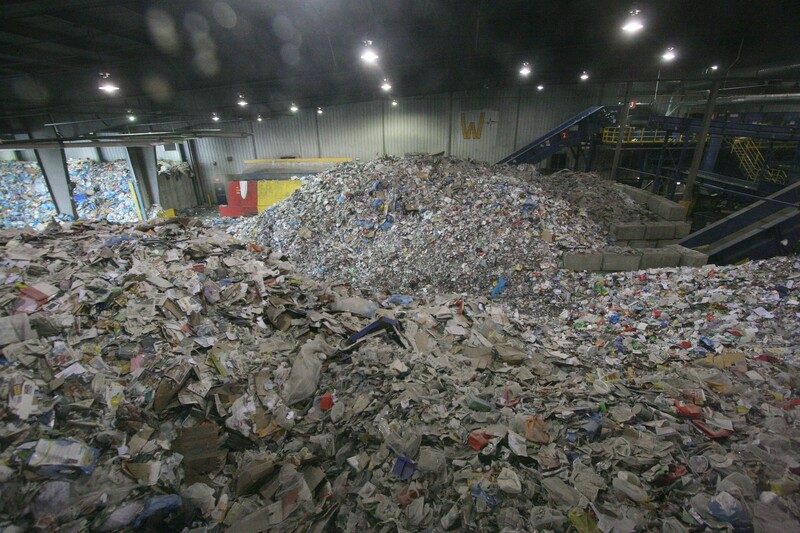 Those discarded in any other colour of bag are part of the garbage sorted at the Integrated Processing and Transfer Facility, but will be “dirty” and therefore not saleable as a recyclable. They will be sent instead for processing into methanol or ethanol at the Waste to Bio-Fuels and Chemicals Facility. This only applies to residential waste, too. The City of Edmonton collects and processes all residential waste, but it’s up to individual businesses, organizations and institutions to select their own waste provider. The City offers commercial waste collection service, but there are many private waste collection companies operating in Edmonton. This means that the waste generated by businesses, workplaces and institutions throughout the city isn’t necessarily being sorted and may be going straight to the landfill. 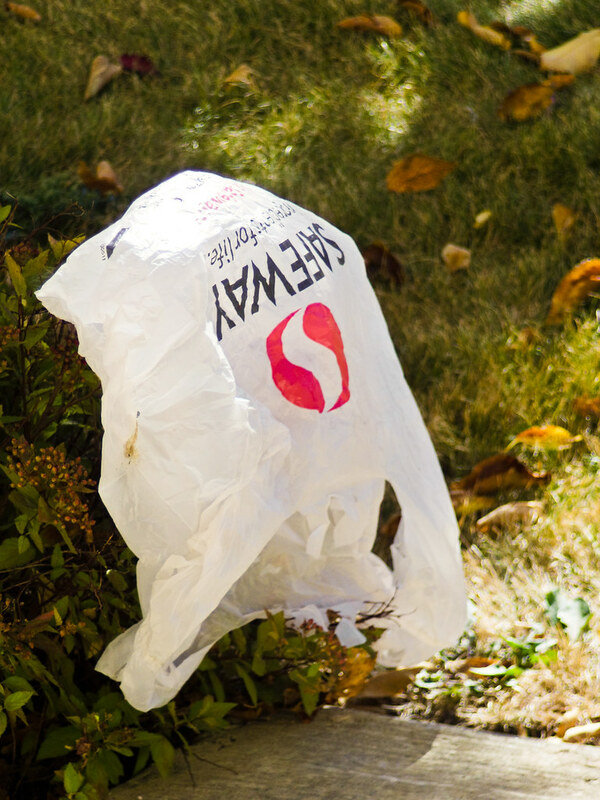 Edmonton likely won’t see a ban on plastic bags in the near future. Henderson believes it’s something that would have to be looked into after the municipal election this fall – and likely not until there’s also good data from other communities with bans. Montreal will certainly prove a very interesting study for large municipalities across Canada. Until then, it’s up to residents to dispose of their trash – plastic bags and everything else – responsibly. Ensure you put plastic bags in a blue bag so they are sent to the proper facility. If you have lots of bags to recycle at once, stuff them all into a single bag – this helps waste management process them faster and more efficiently. This story was inspired by a question seeded in Taproot Edmonton's Story Garden. If you have a question about how or why something happens in Edmonton, or you would like to see what others are curious about, join Taproot. You’ll help us put another story like this into the world.